We'd love to hear from you! Please use the form below to send us questions or comments. 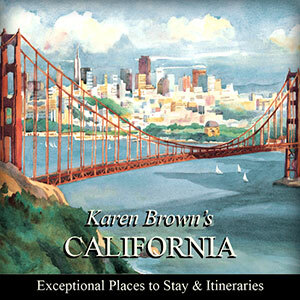 Every property that Karen Brown recommends is one that the Karen Brown team have seen and enjoyed. Their personal recommendation is written with the belief that where you lay your head each night makes the difference between a good and a great vacation. Desert Hills is one of only five Palm Springs properties to be featured in this world renown travel guide.